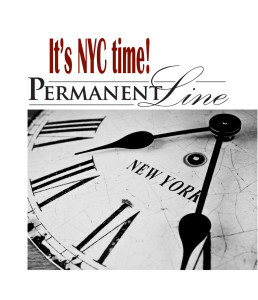 Permanent-Line will be in Verona VA on Thursday, December 15. Appointment times are limited. Contact the office to schedule an appointment. Eyes are the windows to the soul and eyebrows are the window dressing. The power of the brow can make you look 10 years younger, boost your self-confidence and soften one’s facial features and expression. During the month of October, we’d like brows to make a powerful impact on breast cancer prevention and awareness. In honor of those with breast cancer and breast cancer survivors around the world, we are offering a 20% Discount on eyebrow procedures in the Middleburg office to those who support our National Breast Cancer Foundation fundraiser (NBCF) and a 25% Discount to cancer survivors. No contribution is too big or too small, the power is in the numbers and early detection. NBCF provides help and inspires hope to those affected by breast cancer through early detection, education, and support services. *Discount may apply to any new procedure in the Middleburg office during the month of October for contribution to the “Power of the Brow Fundraiser”. We have two openings in the Middleburg office this Wednesday, September 21 at 5pm and 6pm. Contact the office to reserve your appointment and start enjoying the conveniences of a fuss-free face everyday with Permanent-Line. Did you know that Permanent-Line stocks and sells a variety of amazing skin care products? Arbonne’s pure, safe and beneficial anti-aging skin care line and cosmetics. Arbonne offers over 500 personal care products which are formulated without animal products or by-products, mineral oil, parabens, p hthalates, talc, formaldehyde-donating preservatives or petrolatum. While we couldn’t possible stock all of the Arbonne’s amazing line, we are happy to order and ship any of these amazing products right to your home! 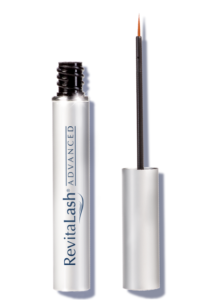 RevitaLash Brow and Eyelash Conditioner and Tinted Brow Gel. These amazing products are formulated with biotin, green tea extract and are rich in panthenol and peptids to help condition, strengthen and promote healthy growth of eyebrows and eyelashes. 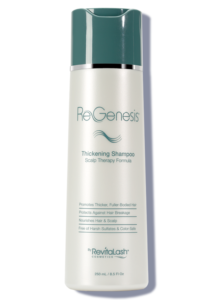 ReGenesis Thickening Shampoo and Conditioner. 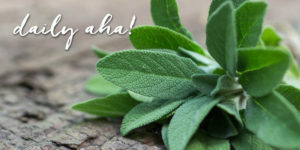 More than simply a way to cleanse and condition hair, these unique thickening and scalp therapy formulas feature specialized ingredients to optimize scalp health and fortify hair. Promotes thicker, fuller bodied hair, protects against hair breakage. Free of harsh sulfates, color safe. Available for order, ReGenesis Detox Hair and Scalp Masque, Spot Serum Anti-Breakage & Scalp Defense and Volumizing Enhancers. Purchase $150 of any Arbonne, RevitaLash, Brow or ReGenesis in September, October or November and receive a FREE Revitalash tinted brow gel. Taking appointment for Friday, August 19 – 21 in NYC. Call the office today to make your reservation for everlasting, smudge free eyeliner, permanent eyebrows or lip contouring. We have three openings at High Tech Salon and Spa on Thursday, July 14. Call the office today to make an appointment. Astrid will be seeing clients in NYC Friday, August 19 – 21. Please call the office to schedule an appointment. 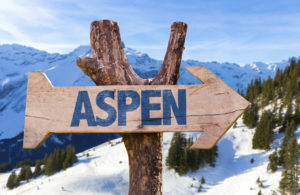 Astrid will be seeing clients in Aspen, CO Thursday, July 21 – Sunday, July 24. Appointments are limited, call the office today to arrange your appointment. Update: Thursday, July 21 is BOOKED! However, we still have openings on Friday, Saturday and Sunday.